Have you been selling goods online? As part of the introduction of the carbon tax, two rounds of personal income tax cuts were to occur. The first round commenced on 1 July 2012. However, the second round of personal income tax cuts, scheduled to have begun on 1 July 2015, have recently been repealed. increase the threshold below which a person may receive LITO to a taxable income of $67,000. As a result of the repeal, none of these changes will be made. increase the Medicare levy surcharge low-income threshold in line with movements in the CPI. The individual income threshold for the 2014-2015 income year is $20,896. The family income threshold for the 2014-2015 income year is $35,261. The child-student component of the family income threshold for the 2014-2015 income year is $3,238. The threshold for single taxpayers eligible for the SAPTO for the 2014-2015 income year is $33,044. The individual phase-in limit for the 2014-2015 income year is $26,120. The phase-in limit for taxpayers eligible for the SAPTO for the 2014-2015 income year is $41,305. The Bill repeals the legislation providing for the First Home Saver Accounts (FHSAs) scheme, including the related tax concessions for the 2015-2016 income year and later income years. The repeal of the FHSAs scheme applies from 1 July 2015 for accounts opened in respect of applications made before 7.30 pm on 13 May 2014. Generally, accounts opened after this date will not be eligible to be first home saver accounts. rewrite the notional tax offsets covering children, students and sole parents that are available as components of other tax offsets. This measure applies to the 2014-2015 income year and all later income years. These measures have now been passed into law. If you have been eligible for any of these tax offsets in the past, you should speak with your tax agent to find out how these changes may impact you. Despite these changes already being made, changes to further improve the taxation of employee share schemes may be coming shortly. 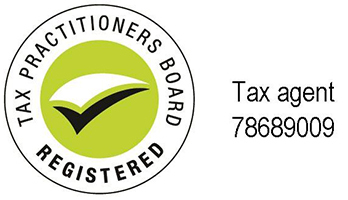 Keep an eye out for further information in future editions of TaxWise. Following the announcement in the 2015-16 Federal Budget, exposure draft legislation was released in July this year to “modernise and simplify” the calculation of work-related car expenses. The four available methods will be reduced to two. The “cents per kilometre” and “logbook” methods will be retained and the “12 per cent of original value” and the “one-third of actual expenses” methods will be removed. The “cents per kilometre” method will be amended so that the three current rates based on engine size will be replaced with one rate set at 66 cents per kilometre, which applies to all motor vehicles. Revisions to the rate will be made by the Commissioner in future income years. Though not law yet, this change applies from 1 July 2015. On 17 June 2015 the ATO made a legislative instrument which varies the amount of withholding required by a payer under the PAYG withholding system for allowance payments in certain circumstances: Taxation Administration Act 1953 – Pay as you go withholding – PAYG Withholding Variation: Allowances (legislative instrument F2015L01047; registered 30 June 2015). The legislative instrument revokes and replaces the previous instrument, Taxation Administration Act 1953 – PAYG Withholding Variation: Allowances (legislative instrument F2013L00521; registered 21 March 2013). That instrument provided a variation to the rate of withholding from a number of allowances when certain conditions are met. Broadly, the variation applies in certain cases when the allowance is expected to be fully expended on tax deductible items and the payee would not be required to substantiate expenditure incurred in relation to the allowance. The new instrument differs from the previous instrument in only one respect. The variation for cents per kilometre car expense payments has been adjusted because of the proposed change to the calculation rules noted above. Where the allowance for car expenses is no more than the published rate, then no withholding will be required for payments up to 5,000 kilometres for a financial year. Withholding will be required from payments for distances travelled beyond 5,000 kilometres in a financial year. If the per kilometre rate paid exceeds the published rate withholding will be required from the amount of each payment which exceeds the amount calculated at the published rate. Your employer also needs to be aware of the changes to the PAYG withholding requirements. Seek advice from your tax adviser about how best to manage these changes that apply for the 2015-16 financial year onwards. On 7 May 2015 the Assistant Treasurer announced that the government will amend the provision for accessing superannuation for people suffering a terminal illness. This follows representations by Breast Cancer Network Australia and other organisations: Assistant Treasurer’s media release “Early access to superannuation for people with terminal illness" (7 May 2015). Under the current provision for early access to superannuation, a person with a terminal illness is required to obtain a certification from medical specialists that he or she has less than 12 months to live. This has proven difficult for some people, including women with secondary breast cancer diagnosis. Understandably, they want access to their money as they may experience significant financial burden associated with treatment costs or want to make the most of their time with their families. On 25 June 2015, the government amended the relevant regulations to change the life expectancy period to 24 months, with the change taking effect from 1 July 2015. On 28 May 2015, the Small Business Minister introduced a bill to remove the obligation for employers to offer a choice of superannuation funds to temporary resident employees, or when superannuation funds merge. The changes are to apply from 1 July 2015. In particular, these changes are intended to reduce compliance costs for businesses operating in industries that employ a high volume of individuals on working holiday visas, such as in hospitality and agriculture. Employees in these situations will retain the right to choose a superannuation fund if they wish to do so. Employers will not be required to give employees a standard choice form if the employee holds a temporary visa as defined by the Migration Act 1958 nor in the circumstance when their superannuation benefits are transferred from a chosen fund or a default fund to a successor fund as a result of a superannuation fund merger arrangement. These changes have now become law. The ATO has advised that from July 2015, it expects to start issuing elections to individuals with excess non-concessional contributions in 2013-2014. The election allows individuals to tell the ATO how they would like their excess non-concessional contributions to be treated. Upon receipt of an election, where an individual has chosen to have their excess non-concessional contributions (and associated earnings) withdrawn from their super fund, the ATO will issue the nominated super fund with a release authority to have the money withdrawn. Funds can expect to start receiving release authorities from July 2015. From 1 July 2013, individuals have the option of withdrawing their excess non-concessional contributions along with 85% of associated earnings for those excess contributions from their superannuation fund. The full associated earnings amount will be included in assessable income and taxed at marginal tax rate in the year the excess contributions were made. The individual will also receive a 15% tax offset to recognise that the associated earnings are taxed in the fund. If you have superannuation that the ATO is holding on your behalf, you are now able to claim that superannuation through the MyGov website. The ATO has recently enhanced this function to allow ATO-held super to be paid directly to individuals, where eligible. Previously, ATO-held super had to be transferred to an existing super fund. For more go to the ATO website. Superannuation is often an area that most of us don’t pay much attention to. It’s a good idea to stay on top of superannuation changes, particularly the changes that affect your personal circumstances, and any super that you might have forgotten about. Your tax adviser will be able to assist you with any of your superannuation queries. The ATO has warned members of self-managed super funds (SMSF) against claiming franking credit benefits by channelling dividends from shares in private companies through SMSFs. The practice occurs when a member of an SMSF with interests in a private company transfers his or her interest to a SMSF and then distributes retained profits and franking credits through the SMSF. The SMSF then claims the franking credit tax offset which results in the tax paid by the company being refunded directly to the SMSF which can then be distributed to the member tax free. The ATO believes that SMSF members approaching retirement age are more likely to get involved in these schemes because profits from shares are tax exempt as they are treated as supporting the payment of pensions. The ATO may undertake compliance activity seeking to apply the taxation and superannuation provisions, including anti-avoidance rules to such arrangements. The ATO will also consult on the application of relevant anti-avoidance provisions and consider a public ruling on such arrangements. Any taxpayers involved in similar arrangements should review their taxation affairs and consider seeking independent advice from an advisor not involved with the arrangement. Seek the assistance of your tax agent or adviser if you receive one of these letters. The measure, which applies from 1 April 2016, will introduce a separate single grossed-up cap of $5,000 for salary packaged meal entertainment and entertainment facility leasing expenses (entertainment benefits) for employees of public benevolent institutions, health promotion charities and employees of public and not-for profit-hospitals and public ambulance services. Currently these employees can salary package entertainment benefits with no FBT payable by the employer and without the benefits being reported. All salary packaged entertainment benefits will also become reportable fringe benefits. If you have salary packaged entertainment benefits from your employer, you should consult your tax adviser to see if this proposed law change affects you in any way. On Budget Night, the Commonwealth Treasury released an exposure draft Bill and associated explanatory material which amend the GST law to give effect to the 2015-2016 Budget decision to ensure digital products and services provided to Australian consumers receive equivalent GST treatment whether they are provided by Australian or foreign entities. This measure does not commence until 1 July 2017, so there is quite a long lead time before this measure will be enacted. However, it is good to be aware that this change will soon be coming. Should the proposed changes be proceeded with, later issues of TaxWise Individual will contain any necessary updates. Your tax adviser is well-equipped to assist you to make appropriate claims for deductions against rental income you may have earned. Seek their advice and assistance to ensure you claim the right amounts. The ATO has warned that this year the ATO will be focusing on unusually high work-related expense claims across all industries and occupations, a much wider approach than in previous years. The ATO says that its ability to identify and investigate claims that differ from the norm is improving each year at a rapid rate due to enhancements in technology and the use of data. This means that every return is scrutinised and it is becoming a lot easier to identify claims that are significantly higher than those claimed by people with similar occupations and employment income. for private expenses such as travel from home to work. If you have not yet done your 2014-15 income year tax return, you should make sure that any claims you intend to make you are entitled to. If you are unsure what you are entitled to claim or how much of an expense you can claim, you should always seek the advice and assistance of a tax agent. Also, they will be able to tell you about expenses you might be able to claim that you hadn’t even thought of! The ATO has released some handy information about claiming mobile phone, internet and home phone expenses. The ATO has launched a tool for individuals who are employees claiming work-related expenses. The myDeductions tool is intended to make it easier and more convenient to keep individual income tax-related deductions all in one place. This might be a handy new tool to record your deductions throughout the year, but your tax agent is still the best source of information to help you know what you should be recording. Consider sitting down with them now to talk about the kinds of expenses you should retain information about throughout the income year to help you prepare for your 2015-16 return. Have you been selling goods online? If so, you should note that the ATO has announced that it has set up the ‘2014 Online Selling Data Matching Program’ through which it will request and collect online selling data relating to registrants that sold goods and services of a total value of $10,000 or more for the period from 1 July 2013 to 30 June 2014. The data the ATO acquires will be electronically matched with certain sections of ATO data holdings to identify possible non-compliance with registration, reporting, lodgement and payment obligations under taxation law. where the client base of a data owner does not present an omitted or unreported income risk, or the administrative or financial cost of collecting the data exceeds the benefit the data may provide, the data owner may be excluded from the program. Data will be sought from eBay Australia & New Zealand Pty Ltd, a subsidiary of eBay International AG which owns and operates www.ebay.com.au. be more strategic in its approach to determine appropriate educational and compliance strategies to encourage voluntary compliance for taxpayers in the online selling market to ensure they meet their taxation obligations. It is expected that records relating to between 15,000 and 25,000 individuals will be matched. If you have been selling goods online and you are concerned about whether you may be caught up in the ATO’s data matching program, speak with your tax agent to find out whether are likely to become involved in this program. The ATO has released advice about the tax treatments of income earned from “sharing economy" activities. The “sharing economy" (also referred to as collaborative consumption, peer-to-peer or similar terms) is a way of connecting buyers (“users") and sellers (“providers") for economic activity. using a car to transport passengers for a fare (ride-sourcing) (eg Uber). The ATO points out that the same tax laws that apply to activities conducted in a conventional manner apply to activities in the sharing economy. If you have provided any of these services, you might have income to declare, expenses to claim and GST obligations to meet. The ATO has released advice on the tax consequences of a range of collaborative consumption activities, including taxi travel through ride-sourcing (also known as ride-sharing or ride-hailing), provided as part of the “sharing economy". There are both GST and income tax implications for persons who make money from such activities. In particular, the ATO has confirmed that people who provide ride-sourcing services are providing “taxi travel" under the GST law. The existing tax law applies and so drivers are required to register for GST regardless of their turnover. That is, if you provide taxi travel in the course of carrying on an enterprise, you must register for GST no matter what your turnover might be; the normal registration turnover threshold does not apply. “Taxi travel" is defined in the GST Act as travel that involves transporting passengers, by taxi or limousine, for fares. This includes making a car available for public hire and using it to transport passengers for a fare. Drivers who offer taxi travel must register for GST, charge GST on the full fare, lodge business activity statements and report the income in their tax returns. However, recognising that some taxpayers may need to take some corrective actions, the ATO gave drivers until 1 August 2015 to get an ABN and register for GST. For more information, including advice about the involvement of “facilitators" (third parties who operate a website or mobile device application used to facilitate a transaction between a driver and a passenger), refer to the ATO website here, and here. “We make thousands of outbound calls to taxpayers a week, but there are some key differences to a legitimate call from the ATO and a call from a potential scammer" said Mr Leeper. The ATO would never cold call you about a debt. If you have a debt you will receive a letter or SMS to remind you that a payment is due in the first instance. The ATO would never threaten jail or arrest. If you receive a call from the ATO and are concerned about its legitimacy, ask for the caller’s name and phone them back through the ATO’s switchboard on 13 28 69. Mr Leeper also said that scammers pretending to be from the ATO are generally more common during tax time and encouraged people to be vigilant and to protect their personal information. If people think they may have fallen victim to a phone scam, they should contact the ATO on 13 28 69. For more information and examples of recent scams visit the ATO website or SCAMwatch. If you are unsure about any contact you have received that is purportedly from the ATO, always contact your tax agent to see if the contact is legitimate, especially if your tax agent is your primary point of contact with the ATO and not your personal contact information.